Obituary for Janet S. (Silverhorne) Fraley | Thomas Funeral Home P.A. Janet Silverthorne Fraley of Cambridge, MD, passed away on Saturday, October 20, 2018, in Palm Springs, CA after a long illness. 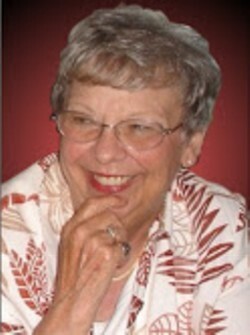 She was born December 11, 1935 in Crisfield MD, to the late William (Bill) C. and Doris (Tilghman) Silverthorne. The family relocated to Cambridge when she was a young child. She grew up in Cambridge and graduated from Cambridge High School’s class of 1953. In 1955, she married the (late) Don R. Fraley. They were married for 23 years. She was a 32 year employee of the Cambridge office of Western Publishing Company, from which she retired. Prior to that, she had been employed at Cambridge Wire Cloth. She will be fondly remembered by friends and family for her wonderful smile, her warm heart, and her laugh. In her retirement, she enjoyed traveling, especially “road trips,” reading, dog sitting and meeting up regularly with her “coffee club” friends. She is survived by her son, Rick Fraley, of Palm Springs, CA; a brother, William (Bill) Silverthorne, Jr, of Baltimore; nephews Eric Silverthorne and Matthew Silverthorne of Baltimore; ephew Billy Fraley of Baltimore; nieces Gena Fraley of Salisbury; and Teresa Fraley of Baltimore; and their respective families. A memorial service for Janet will be held on Saturday, December 8, 2018 at 11 am at Thomas Funeral Home, P.A. in Cambridge, MD with Rev. Randall T. Blackmon officiating. Family will receive friends one hour prior to the service. Burial will be private at Dorchester Memorial Park. In lieu of flowers, donations may be made in her name to the American Cancer Society or to the American Diabetes Association.